Are you interested in art, photography, or sculpture but also have a passion for helping people? If so, a graduate degree in art therapy could be right up your alley. Another benefit of becoming a licensed practitioner in art therapy is that you can achieve a secure, satisfying career path without sacrificing your love of art and visual design. 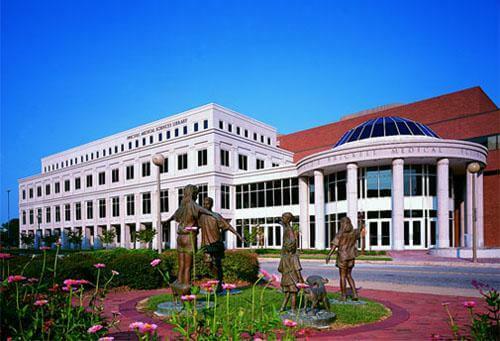 Fortunately, there is no shortage of master’s degree programs available in this popular field. But for this ranking, we focused only on the very best options. How Did We Find the 20 Top Master of Art Therapy Degree Programs? To make sure we only considered the programs with the best value, we limited our selection to schools that have been accredited by the American Art Therapy Association (AATA) and have average tuition rates less than $32,000 a year. Tuition data is from College Navigator, a website that provides data on graduate-level tuition and fees at U.S. colleges based on figures that the schools report. In addition, we averaged the resident/non-resident rates for public colleges. This means that the numbers we list below, while good estimates, are not exact price quotes. For the most accurate information we encourage you to speak with a representative at the school you plan to attend. Finally, we tallied the points, calculated the sum of all four categories, and gave each art therapy graduate program a final score out of 100. * Only the top 20 schools (see below) made the final cut! *We also scaled, or “curved” the scores so that the #1 program earned the maximum possible points. At LIU Post, you can earn a top master’s degree in art therapy while making connections with the international art therapy community. Thanks to its location just outside New York City, LIU Post offers its clinical art therapy students fantastic research and internship opportunities. At the same time, the university’s accredited art therapy graduate program incorporates a global approach and boasts strong ties to the international art therapy community. You can even embark on a study abroad internship; in 2013, for example, a group of students traveled to St. Petersburg, Russia to provide art therapy services at a local orphanage. And if you plan to work full-time while earning your degree, you’ll appreciate that LIU Post offers both part-time and full-time enrollment options. The accredited master of art therapy degree program at Albertus Magnus lets students develop a curriculum that meets their career goals. 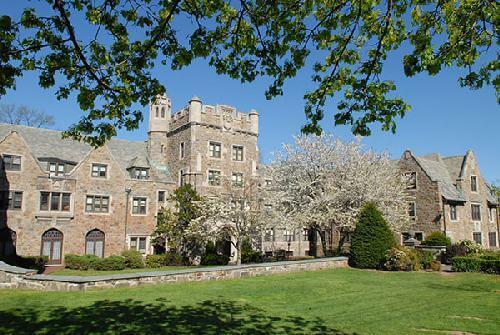 For a program that’s comprehensive yet individualized, check out Albertus Magnus College. From day one, students pursue a highly focused course of study, as faculty members work with each participant to develop a curriculum tailored to their individual career goals. At the same time, this top graduate degree in art therapy includes a strong foundation of coursework that introduces students to various topics within the field, from working with children to helping adults with substance abuse issues. All work is grounded in a rigorous ethical framework, and you’ll graduate ready for licensure in the state of Connecticut. If you learn best by doing, you’ll appreciate the hands-on approach to Springfield’s accredited graduate degree in art therapy. Springfield College’s art therapy and counseling program includes a particularly strong focus on real-world skill-building, making it one of the best art therapy master’s programs for students who favor experiential learning. In fact, you’ll participate in a practicum in just the second semester, then follow up your work with a full internship during your second year of study. But the program doesn’t highlight hands-on experience at the expense of original ideas, and a senior research project also makes the list of degree requirements. The results of this thorough approach speak for themselves: 100% of respondents in a survey of recent alumni reported that they found full-time work soon after graduation. The affordable art therapy graduate program at Seton Hill includes art-making in nearly every course. 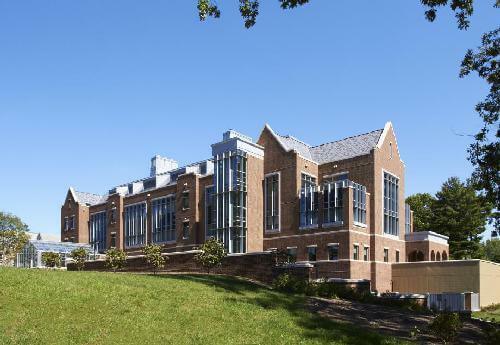 In 2015, Seton Hill opened a brand-new arts center with facilities for nearly every medium and field – including an art therapy-specific studio. Art itself is at the center of the school’s affordable master’s degree in art therapy and sets the program apart from competitors. As you complete the 60-credit degree, nearly all of your classes will include art-making of some kind. You’ll round out your studies with an intensive internship and “culminating project,” where you’ll ground your clinical experience in the theories you’ve learned and present it to a faculty project committee. The inclusive accredited art therapy master’s program at Nazareth lets students pursue multiple creative therapy options. For a broad course of study that incorporates myriad creative therapies, you’ll be hard-pressed to find a better option than Nazareth College’s top master of art therapy degree program. The incredibly inclusive curriculum highlights not just art therapy, but music, play, movement, and even yoga therapies. You’ll learn to apply these modalities to patients dealing with both physical and mental challenges, from burn victims to patients suffering from a TBI or a stroke. The program even includes a study-abroad component: a week-long course in Sweden provides an international perspective on the field and gives you inside access to the NIARTE Institute, Sweden’s premier art therapy training ground. Pratt’s intensive low-residency master’s degree in art therapy is one of the best options for working adults. 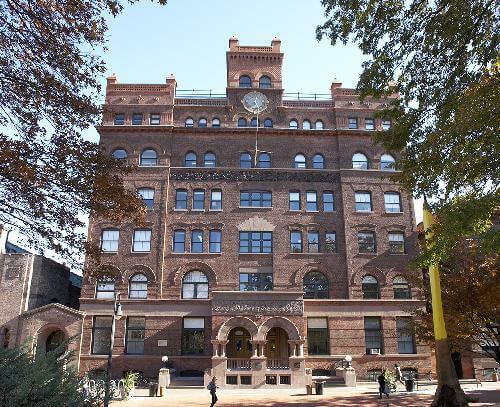 Working professionals who want to pursue an accredited graduate degree in art therapy will find an attractive option at the prestigious Pratt Institute. Along with the more traditional full-time program, Pratt also offers a spring-summer intensive program targeted at adult learners – including those who don’t live close to New York City. This option requires just a few week-long intensive residencies (including one in New Hampshire) in the spring, followed up by papers due in the fall. Participants also complete extensive practicum/internship work. Regardless of whether you choose this option or the traditional full-time program, you’ll graduate with the skills to work in both clinical/patient-centered and research-focused fields. Marylhurst offers a top art therapy master’s program grounded in counseling theory. With its heavy focus on theory, Marylhurst provides a great option for students who want a deep-dive into the underpinnings of counseling and psychotherapy. This affordable master’s degree in art therapy also employs a fairly traditional approach to its curriculum. Courses must be taken sequentially; the first year highlights theory and fieldwork, while the second year includes an intensive clinical practicum. The degree culminates in a studio seminar, during which you’ll complete three art projects and papers to reflect on your clinical experiences and demonstrate your mastery of myriad methods and media. 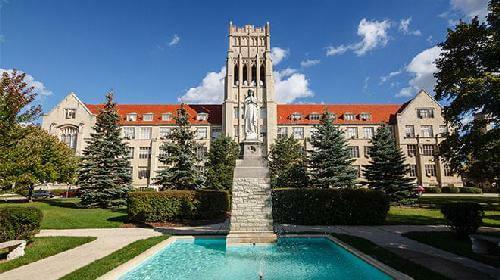 If you’d like to pursue an accredited graduate degree in art therapy at a women’s college, Ursuline is your best bet. 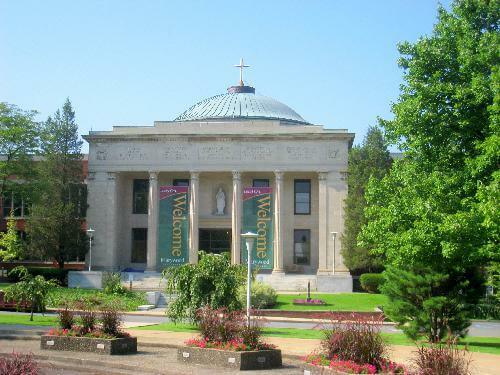 Founded in 1871, Ursuline College was one of the first Catholic women’s colleges in the United States. Today, the school continues to embrace its commitment to the under-served. The top art therapy master’s program, for example, includes an optional service-learning component in countries like El Salvador and Ecuador. Of course, Ursuline also offers plenty of resources to help its own, such as a mentoring program that pairs incoming students with an upperclassman or recent graduate for personalized advice. Other perks include late afternoon and evening classes for busy adults and dedicated scholarships to ease the financial burden of attendance. FSU’s accredited master of art therapy degree program lets students design a specialization that infuses all aspects of their work. Although FSU’s top art therapy graduate program has plenty to offer students of all types, those with highly specific career goals will most appreciate the degree’s custom specialization option. This feature enables degree candidates to design a course of study focused on a specific population (e.g. inmates or the elderly) or a particular health issue, such as autism. And doing so requires more than just picking a few electives. Rather, you’ll work with a faculty advisor to make sure your area of interest takes center stage in assignments for multiple courses, in your practicum experience, and in your culminating project or thesis report. 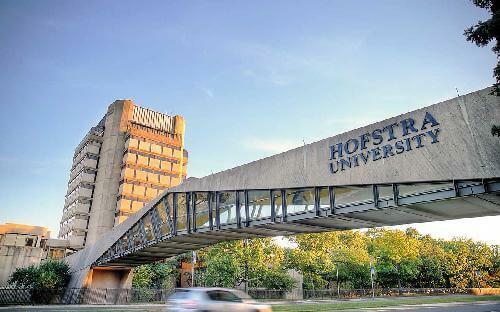 The inclusive art therapy graduate program at Hofstra has widespread appeal. Thanks to its broad approach to art therapy, Hofstra has something to offer just about every student. Whether you want to focus more specifically on art psychotherapy, pursue a specific licensure, or get involved in the global therapy community, you’ll find the opportunity to do so at Hofstra. What’s more, you’ll have a chance to meet fellow professionals and make connections through the student-run Creative Arts Therapy Club, which hosts lecturers, art shows, and an annual conference. This accredited master of art therapy degree program even includes a study-abroad option in Ireland to give you an international perspective on the discipline. The three-year accredited art therapy master’s program at Mount Mary introduces students to a variety of real-world experiences. Unlike the more compact programs on this list, Mount Mary’s affordable master’s degree in art therapy requires three years to complete. 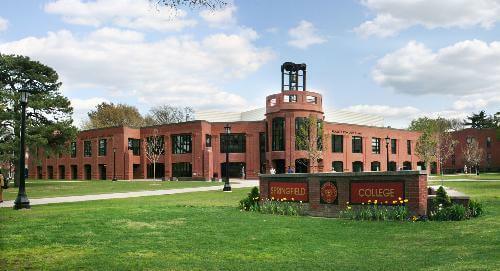 That’s because the school offers a rigorous and comprehensive program that provides ample real-world experience. In fact, participants must complete 800 to 1,000 hours for their practicum – longer than the AATA-required 700 hours. But the commitment is worth the time, as this practicum will introduce you to a variety of clinical settings, from residential treatment facilities to medical art therapy clinics to domestic violence shelters. And if you’re moved by your experiences, you can opt to complete a “social action project and contextual essay” in lieu of a more traditional capstone. 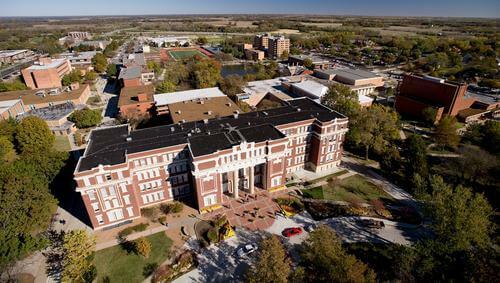 The dual-degree master of art therapy degree program at Emporia State helps it stand out on this list. For a relatively small college in rural Kansas, Emporia State offers a surprisingly robust accredited art therapy master’s program. 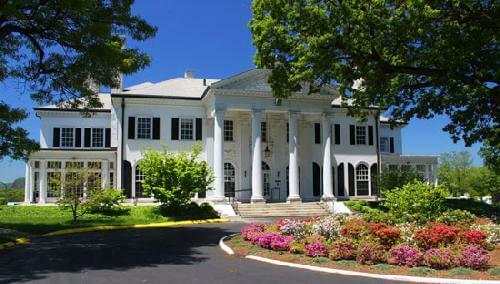 The school even gives participants the option to pursue a dual degree – an M.S. in Art Therapy and in Clinical Counseling – in a compact three-year curriculum. Of course, you can also stick to a traditional approach in the M.S. in Art Therapy Counseling program, which requires only two years of full-time study (part-time options also available). If you’re on campus, you can even join the Student Art Therapy Organization, which organizes volunteer work and participates in regional and national AATA events. Paid assistantships plus low tuition make SIUE’s top art therapy graduate program one of the most affordable on this list. If a low price tops your list of must-haves in an art therapy program, SIUE might be a smart choice. One of the most affordable graduate degrees in art therapy on this ranking, SIUE’s program costs an average of just over $11,000 a year. But that affordability doesn’t come at the expense of quality. In fact, the art therapy program is highly individualized (classes are limited to 10 students) and close-knit, providing plenty of face-time with professors. And if you want to decrease your tuition even further, SIUE provides four generous graduate assistantships per year, which come with a tuition waiver and a $400 monthly stipend. 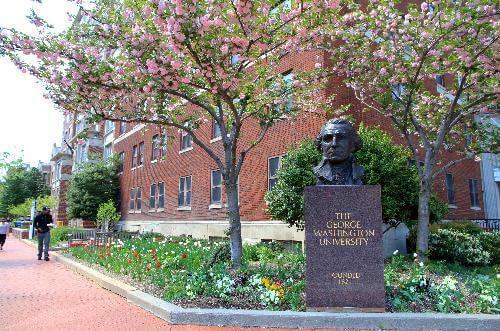 An on-campus clinic helps GW’s top master’s degree in art therapy stand out from the crowd. GW might just set the gold standard in terms of accredited art therapy graduate program options. First, the school provides three distinct degree pathways: a master’s with thesis option, a master’s in art therapy practice, and a combined BA/MA. Second, all three programs include access to invaluable resources, from a dedicated library to an art therapy clinic and student gallery. The clinic offers therapy to both GW students and the larger community on a sliding scale, demonstrating the school’s commitment to treating all population group – regardless of ability to pay. But if working in the on-campus clinic doesn’t match your career goals, you can choose another internship from more than 100 sites in the DC metro area. Students of faith will appreciate the Catholic values that define Marywood’s accredited graduate degree in art therapy. 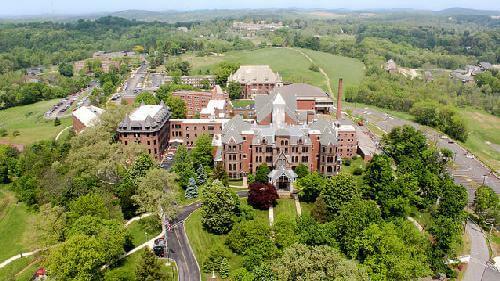 The Catholic identity and spirit of working for the common good infuse Marywood’s academics – including its affordable master of art therapy degree program. Founded by a Catholic sister in 1980, the art therapy program is grounded in a deep respect for the individual’s worth and dignity. In practice, this means that you’ll have ample opportunities to participate in community-wide volunteer efforts. For example, the student-run art therapy association club recently provided assistance at a suicide prevention event. Not only that, but the same group also organizes an annual art therapy symposium to help degree candidates learn more about particular subsets of the field, such as end-of-life care and religious work. At CNR, four optional specializations let you narrow the focus of your affordable master’s degree in art therapy. Students with a particular passion for studio art will appreciate the College of New Rochelle’s optional specializations in photography/phototherapy and sculpture/art therapy. Requiring just nine credits, these specializations distinguish CNR on this ranking of the best art therapy graduate programs. Beyond studio art, the college also offers concentrations in specific client populations and stages of life: child art therapy and thanatology (dying and death). But regardless of whether or not you pursue a specialization, expect to devote a good portion of your time developing your studio art skills and exploring your personal artistic process. The top art therapy master’s program at EVMS gives its students experience working in a team-based environment. From the get go, EVMS’s accredited master’s degree in art therapy stands out as the only program housed within a dedicated medical school. Although somewhat unusual, this environment offers plenty of benefits. For one thing, you’ll enjoy learning on a health-focused campus and interacting with faculty who emphasize a team-based approach to patient care. Plus, you’ll have the chance to foster valuable relationships with current and future practicing clinicians. The curriculum is full of perks, too: it begins with an introduction to respected theoretical models but ultimately encourages participants to develop their own approach to practice, providing a unique chance to personalize your education in a meaningful way. The affordable master of art therapy degree program at NDNU prepares students to sit for various licensing exams. 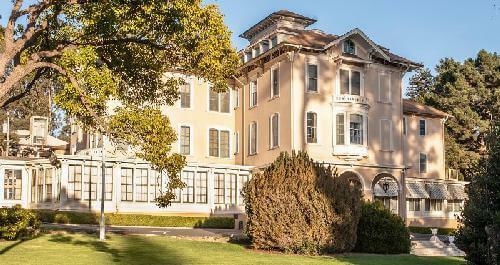 Located just 30 miles from San Francisco, Notre Dame de Namur offers master’s degrees that are professionally-focused and grounded in Catholic principles. In particular, its top graduate degree in art therapy also prepares students to sit for both the Licensed Professional Clinical Counselor and Registered Art Therapist exams. Yet the curriculum is also flexible, providing a broad-strokes look at how to incorporate art therapy in settings that range from community centers to schools to prisons. Because of NDNU’s location, the program also highlights working with diverse and multicultural communities. In fact, students who provide services locally in San Mateo County are eligible for a unique Mills-Peninsula partial-tuition scholarship. The low-residency option at Lesley gives distance learners the chance to earn one of the best graduate degrees in art therapy. Although you can certainly enroll in Lesley’s accredited art therapy master’s program as a full-time, on-campus student, it’s definitely not a requirement. This flexibility is due to the school’s “low-residency” degree, which is open to students around the globe. While the program does require summer residencies on campus, the remainder of the coursework is available entirely online. What’s more, faculty and staff will help you secure internships in your home communities to ensure that you have access to high-quality experiential learning opportunities. And of course traditional learners will also enjoy plenty of hands-on work, both on campus and in the greater Boston area. Drexel’s top graduate degree in art therapy encourages students to establish brand-new art therapy programs during their internships. Drexel’s top graduate degree in art therapy is one of the oldest in the country, and it’s also one of the most hands-on programs on this list. Perhaps most significantly, students must complete a whopping 1,200 hours of fieldwork – which leaves them uniquely well-prepared for the professional world. You won’t complete all of this work at once, however. Starting in your very first quarter, clinical practicums initially emphasize observation before building up to more interactive experiences. Finally, you’ll embark on a year-long internship at the site of choice. 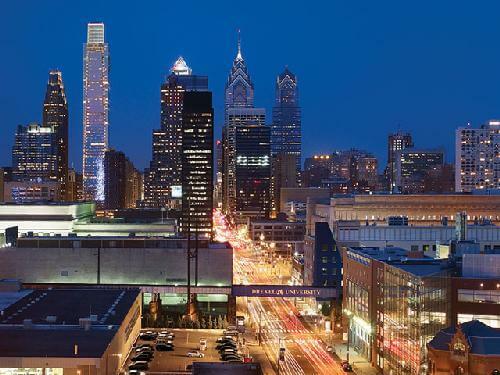 Drexel encourages students to choose sites without functioning art therapy programs, giving them the unique chance to develop and implement a brand-new service for a community in need.